Kramer Law reviews, negotiates, drafts, and litigates Florida non-compete agreements on behalf of employees and businesses. As a Central Florida business owner or entrepreneur, you need to create a sound legal scaffolding to ensure the viability of your creative products and serve your clients. A well-structured covenant not to compete will protect your business from unfair competition, protect specialized investment in employees, protect trade secrets and protect your client base. Our attorneys can help you draft contracts for your new business, revise stockholder agreements, and enforce broken or disputed contracts. As an employee, if you need to have a non-compete agreement reviewed, end a current employment regulated by a non-compete, or you are faced with noncompetition litigation by your previous employer, Kramer Law can vigorously represent you and protect your rights. Contact us regarding Florida noncompete agreement law or other corporate and employment law matters. Without an experienced business law firm advising you and vetting your contracts, you could run into frustration and HR difficulties later. Designing an enforceable non-compete agreement or taking action against a former worker who violated a non-competition clause requires extensive knowledge of Florida law, as well as knowledge of what the courts will and will not enforce. Florida law strives to limit your ability to restrain ex-employees from working. 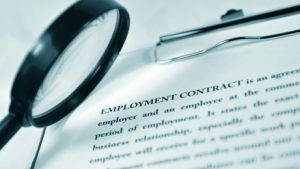 If your employment non-compete clause is too broad − or is in any way unreasonable − the court can nullify its applicability, leaving you with no recourse to restrain what an ex-employee does. In a dispute, the court will examine geographic and other limitations that you have placed on the ex-employee as well as the length of time the non-compete applies. Usually, a non-compete agreement in Florida that exceeds two years in duration will be considered too long and unreasonable. Our attorneys can help you prepare a non-compete agreement that will stand up in court to protect legitimate company interests, such as trade secrets, confidential or proprietary information, and key relationships with pivotal customers. Whether you are buying or selling a company; suing a past employee to enforce a non-compete agreement; or drafting or negotiating stockholder agreements, Kramer Law can help. Kramer Law represents employees who are being sued over violating a non-compete agreement in Florida. Agreement not to compete should not be a means of preventing a person from continuing to work in the same industry either for themselves or for a different employer. Neither should it be an attempt to inhibit any and all competition. Depending on the facts of the case, there are many ways our attorneys defend our clients against the enforcement of an unreasonable non-compete agreement. Whenever possible, we work to resolve such disputes before a lawsuit is filed. Our attorneys also advise professionals and other high-performance employees as to the constraints they are committing to as they consider signing non-competition agreements. We can advise you of any risks that may result in a non-competition lawsuit. Not only do we have extensive in-house capacities and years of experience managing sophisticated Florida business law issues, but we also offer auxiliary legal services, such as help with employment law, tax law, intellectual property concerns, and business strategy. 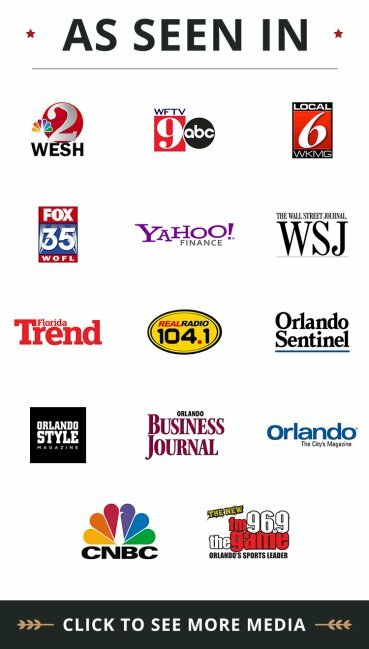 This full spectrum legal service makes life simpler for our clients: you can count on our Orlando law firm to help you build your business or your career and progress through the various stages of growth. Florida non-compete agreement law is incredibly complex. Small errors in contracts, such as a poorly thought out non-competition clause, can bounce back to have devastating consequences. Regardless of whether you are the employee or employer, get insight from Kramer Law today. Our attorneys are accomplished in all issues surrounding Florida non-compete law and related concerns of employment law that bear upon decisions in these cases. Call 855-Kramer-Now (855-572-6376) now to set up a free consultation.